From small seedlings grow beautiful big trees. These are great little tree gifts, suitable for all occasions and perfect as a corporate gift. When you just want to give a little something that will keep on giving for years to come. 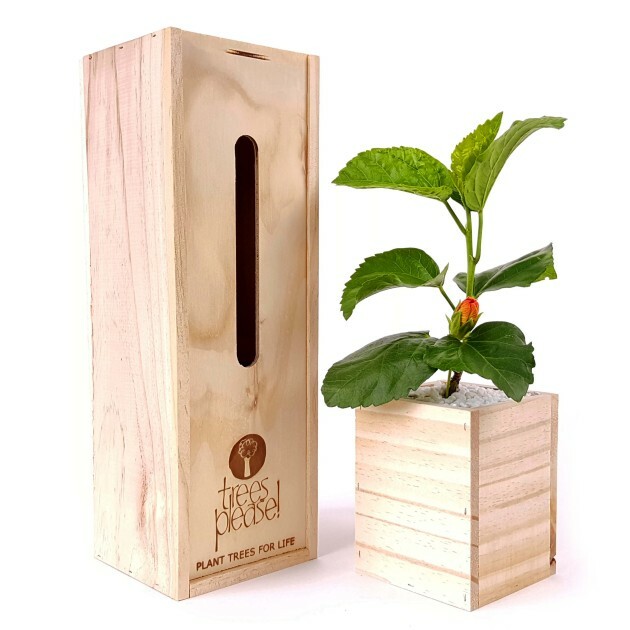 28 - 33cm high baby tree in wooden planter containing high quality potting mix. Information on care, repotting and planting your tree for best results.